Chelsea star Victor Moser is not in any way close to adding to the three appearances he already had under Sarri so far this season. The 27-year-old has been told he’s not wanted at Stamford Bridge and he’s free to leave as early as the January transfer market commence. Being in this kind of situation is nothing new to the Nigerian winger, remember he wasn’t rated by José Mourinho during the Portuguese reign at Stamford Bridge. He was told he’s surplus to requirements by the former Real manager, hence, he spent at least three seasons on loan as he searched for a manager who trusts his ability and tricks at the right flank. As much as playing at Stamford Bridge brings pride and class to players, Moses should be too concerned about his lack of regular action under Sarri. The former England youth player should be more concerned about his future and the step to take so as to bring his career back on track. Talking of Moses future, reports suggest that the Blues are willing to release the former Wigan Athletics player as long as his suitors are ready to release £12m in January. £12m is a very low price tag on a player who’s won a Europa League Cup, FA Cup, Premier League and many man-of-the-match awards. However, that’s the condition Moses finds himself. Rather, that’s the condition Maurizio Sarri puts the one-time Chelsea’s most important player. With such price tag, it won’t be too long the player will get numerous suitors queuing for his signature. As Matter of fact, two clubs have already signalled their intentions to lure Moses to their respective clubs. 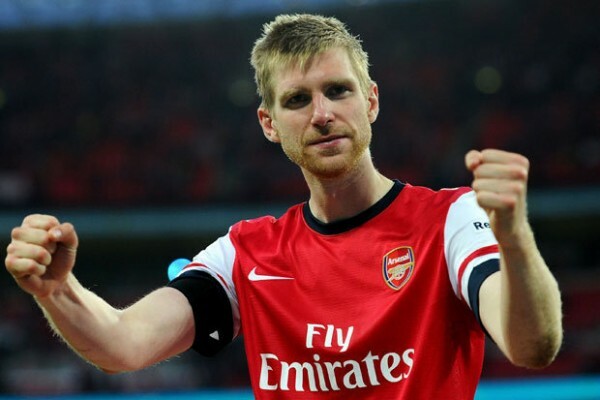 Fulham and Crystal Palace are reportedly set to compete for the 27-year-old’s services. Both teams are currently struggling to keep their place in the League and they believe the acquisition of Moses will help boost their survival rate. Where should Moses move to Fulham or Crystal Palace? Claudio is Ranieri needs no introduction. He was at Leicester City sometimes last season but was sacked by the Foxes hierarchy due to a poor run of results. The Italian manager is known for his attacking style of play but he is being unable to transform the Cottagers into the team he wants to see. Moses will surely fit into the team’s setup as his pace and dribbling skills will help the team at the right flank of attack. As much as he will get regular game-time under Ranieri, it isn’t certain the team won’t return back to lower League (Championship ) by the end of the campaign and that won’t be too good for the 27-year-old. 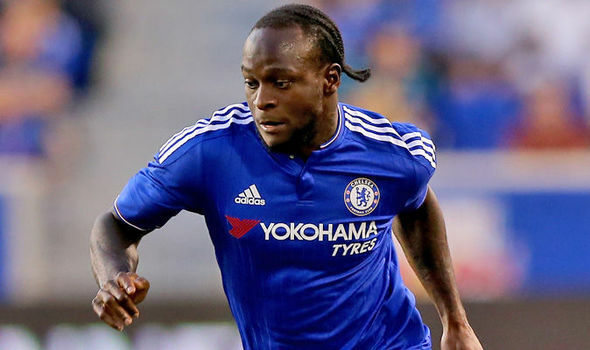 A move to the Selhurst Park Stadium mean a homecoming to Moses. This is because he began his professional career with the Eagles before a switch to Wigan, followed by Chelsea. The player will form a deadly frontline alongside Zaha and Christian Benteke. However, it is unclear if Roy Hodgson would be easily convinced to start him as soon as he joins the team in January. We keep our fingers crossed as we closely watch Moses makes another important decision in his football career. Chelsea striker Olivier Giroud has tried out over his lack of playing time at the club since the start of the current season. Giroud talked about the lack of first-team opportunities that he had to endure at Chelsea in his latest interview ahead of the Blues’ Europa League quarterfinal second leg clash with Slavia Prague FC of Czech Republic. According to the French World Cup winner, he’s frustrated with his situation at Stamford Bridge. 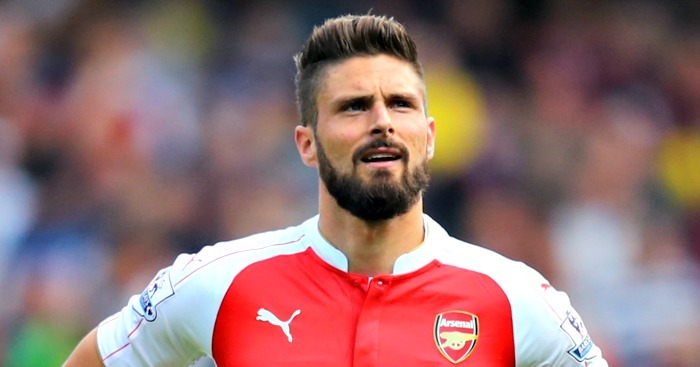 Giroud started this season as the second choice striker behind Alvaro Morata and he has maintained that role since the loan transfer of Gonzalo Higuain during the January transfer window. Higuain was signed as a direct replacement for Morata who left the club for Spanish La Liga club Atletico Madrid earlier this year. Both Gonzalo Higuain and Alvaro Morata were benched at the weekend as Chelsea fell to a 2-0 defeat to Premier League chasers Liverpool in their second league duel of the season. The defeat ensured that Chelsea lose their top-four spot to London rivals Arsenal. Giroud would be hoping to get a start when Chelsea play host to Slavia Prague in the second leg of their Europa League quarterfinal tie. The Czech side lost the first leg 1-0 courtesy, an 86th-minute strike from Marcos Alonso. Spanish champions Barcelona and Borussia Dortmund are in a race to sign Atletico Madrid defender Filipe Luis according to reports coming out of the media in Germany. 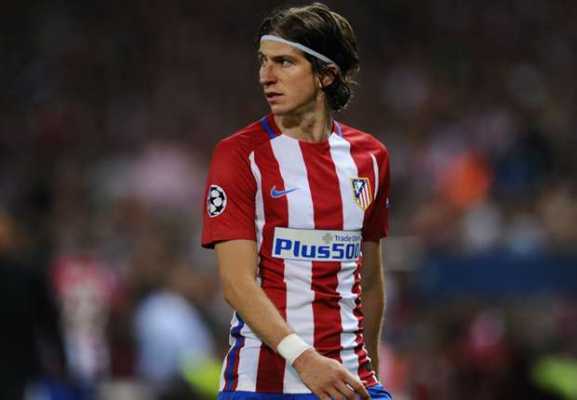 Filipe Luis is expected to leave Atletico Madrid this summer and he has been touted as a possible transfer addition to the playing squad at Barcelona and German Bundesliga giants Borussia Dortmund. The 33-year-old has been a wonderful player for Atletico Madrid since he signed for the club in 2010. The Brazilian international player joined Atletico Madrid from fellow Spanish La Liga club Deportivo La Coruna. Filipe Luis briefly left the club for Premier League giants Chelsea between 2014 and 2015. He made just 15 league appearances for Chelsea during that season before returning to Atletico Madrid in 2015. Filipe Luis has been the first choice left-back at Atletico Madrid since the start of his second spell at the club. The Brazilian defender is said to favour a move to five-time European champions Barcelona this summer ahead of other interested clubs. Barcelona want to sign Felipe Luis as a backup for first choice left-back Jordi Alba ahead of next season. Jordi Alba is the undisputed first choice at Barcelona and he recently impressed as the Blaugrana sealed a semifinal berth in the Champions League via a 4-0 aggregate win. Europa League favourites Chelsea are in a good position to secure a semifinal spot in the competition ahead of Czech side Slavia Prague. Chelsea won the first leg 1-0 courtesy an 86th-minute strike from Spanish left-back Marcos Alonso. The Blues might have to depend on winning the Europa League to seal a return to the Champions League stage due to the fact that a top-four finish in the Premier League is highly unlikely with the way things are at the moment. Chelsea are in a battle with other major Premier League teams like Tottenham Hotspur, Arsenal and Manchester United though the two North London sides are in a better position for a top-four finish. Just two spots are available for Champions League football with the other two places already taken by both Premier League title rivals Liverpool and Manchester City. Chelsea boss Maurizio Sarri is under pressure again following the weekend’s 2-0 loss to Liverpool in the Premier League. The defeat has placed them in a difficult situation to secure Champions League football via the league route. Sarri and his players can’t afford any slip-up in their Europa League quarterfinal second leg clash with Slavia Prague FC of Czech Republic. The Blues have winning odds of 1.33 according to Surebet247 while their opponents have victory odds of 9.75. The possibility of a stalemate is at the odds of 5.00. Eintracht Frankfurt striker Luka Jovic has signed for the German Bundesliga club permanently despite the transfer rumours linking him with a move to several clubs on the European football stage. The announcement of his permanent deal was made earlier on Wednesday afternoon. 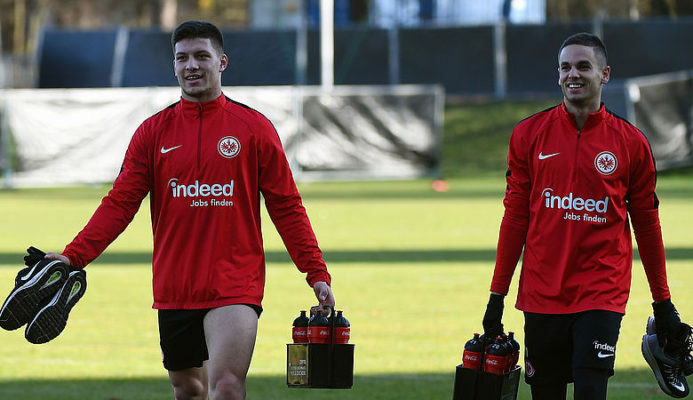 Luka Jovic initially joined Eintracht Frankfurt from Portuguese giants Benfica on loan for two years until this summer with the obligation to make it permanent and the Germans have decided to turn his loan move to a permanent one earlier than planned. The 21-year-old has been in very good form for Eintracht Frankfurt this season and it’s not surprising that his loan move has been made permanent before time. He has signed a four-year deal at Frankfurt until the end of the 2022/23 season. Luka Jovic has scored 17 goals in the German Bundesliga and he’s the second topscorer behind Bayern Munich hitman Robert Lewandowski. His form has propelled his Eintracht Frankfurt side to the top four on the German Bundesliga table. A top-four spot is enough to secure Champions League football for next season. Serbian international Jovic and Frankfurt are still in the knockout stages of the Europa League. Eintracht Frankfurt lost the first leg of their Europa League quarterfinal tie to Benfica 4-2 ahead of the second leg at home on Thursday night. Former Chelsea midfielder Michael Ballack has backed Jose Mourinho for the Bayern Munich job. In his latest interview monitored by popular media outlet Goal, ex-German international Ballack said that Mourinho would be the perfect man for the Bayern Munich managerial role. Former Chelsea and Manchester United boss Mourinho has been linked to the Bayern job as a replacement for current boss Niko Kovac who’s under serious pressure to keep his job. Niko Kovac has struggled to impress as the manager of the Bavarian giants since he took the job at the start of this summer. His Bayern Munich team is in a two-way fight for the German Bundesliga title with Borussia Dortmund. At the end of last year, Dortmund had a nine-point lead over his Bayern team but Niko Kovac has been able to claw that deficit back. Bayern have a one-point lead at the top of the table presently with five games to go. The Bavarian giants can still win the domestic double as they are still in the German Cup. The biggest disappointment of the Niko Kovac reign at Bayern Munich was the Bavarian giants’ inglorious exit in the Champions League at the hands of Premier League leaders Liverpool. The Reds emerged victorious in their last 16 tie via a 3-1 aggregate win. West London giants Chelsea are reportedly eyeing highly-rated Lille winger Nicolas Pepe as a possible replacement for wantaway Blues talisman Eden Hazard. This is according to the publication from popular English news outlet Daily Mirror which claimed that Chelsea are not willing to let Eden Hazard leave this summer. It was further revealed that the West Londoners will target the aforementioned Pepe as his replacement though Chelsea are still yet to find out whether they will be able to sign new players this summer. Chelsea have been slapped with a two-window transfer ban by world’s football governing body FIFA but they have contested the verdict with an appeal. The Europa League campaigners are still anxiously waiting for the verdict on the appeal against the transfer ban. Chelsea forward Eden Hazard could leave the club this summer with Spanish club Real Madrid strongly interested in him. He has one year left on his current deal at Chelsea though they are reluctant to let the Belgian international star leave the club. Nicolas Pepe could be a very good replacement for him. The Ivorian international has been in sensational form for Lille this season after netting 19 goals and 11 assists in the league this season. His form has propelled his French Ligue 1 club to the top two on the league table. Manchester City midfielder Kevin De Bruyne believes that North London giants Tottenham Hotspur are still a threat without star striker Harry Kane. The former Chelsea player spoke about Tottenham Hotspur in his pre-match thoughts ahead of the Champions League clash between Manchester City and Spurs. Both teams meet for their Champions League quarterfinal second leg clash at the Etihad Stadium on Wednesday night. The two sides met last week at the new Tottenham Hotspur Stadium for what was their first leg meeting and it ended in a 1-0 win for hosts. South Korean international Son Heung-Min scored the only goal of the game to condemn the Citizens to a rare defeat. The Tottenham Hotspur win was marred by the injury to star striker Harry Kane. The Three Lions of England captain sustained a serious ankle injury which is likely to rule him out for the remainder of the season. Kevin De Bruyne and Manchester City would be hoping to overturn the aforementioned first-leg deficit when they take on Spurs in their second Champions League meeting of the season. 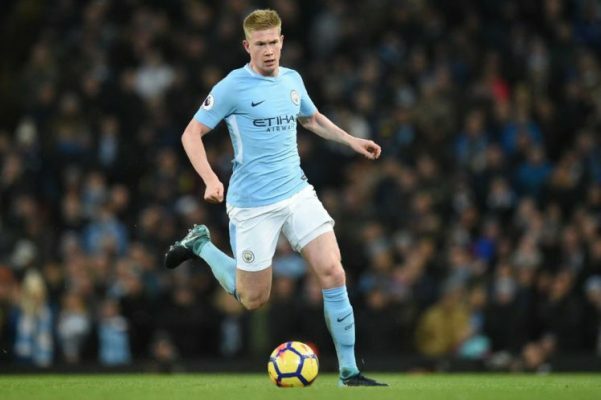 Many pundits believe that it would be a walkover for Manchester City but De Bruyne disagrees as he said that Spurs will pose enough attacking threat to worry the Citizens’ defence without Harry Kane. Italian Serie A giants Inter Milan are the first club to make a move for highly-rated Lille winger Nicolas Pepe according to the reports coming out of the media in France. 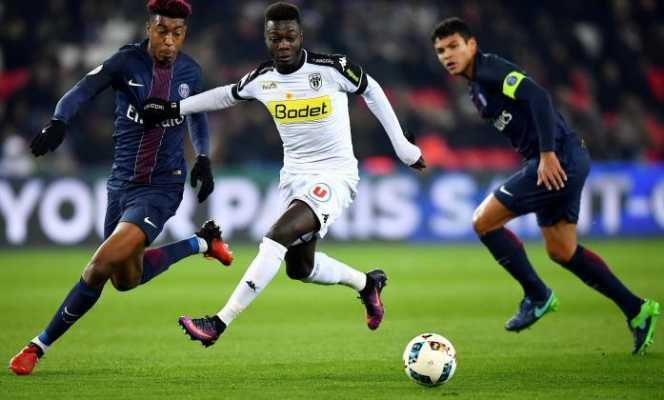 Ivorian international Pepe has had a season of his life for Lille this term and it’s not surprising that the major European sides are on his trail. The specific report from France Football revealed that one of those interested clubs has made the first move to sign Pepe. Inter Milan have put in an official bid for the in-form Lille winger in their quest to usurp other interested parties. Nicolas Pepe has been linked with clubs like Manchester United, Paris Saint Germain (PSG), German Bundesliga champions Bayern Munich, Arsenal and West London giants Chelsea. The Ivorian attacker has scored 19 goals in the French Ligue 1 this season in addition to 11 assists. No player has more assists than Nicolas Pepe in the league this term while it’s only Paris Saint Germain (PSG) forward Kylian Mbappe that has scored more league goals this season. Pepe has been in superb form for Lille and his goal contributions (30 goals) have propelled Lille to the top two on the French Ligue 1 table. Lille are on course to return to the Champions League next season.